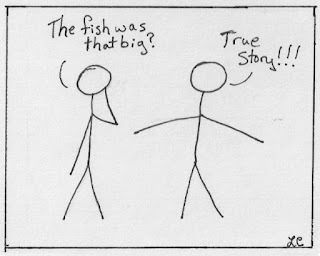 True Story: Fishing trips - True Story! Fishing trips - True Story! Pirates of the Caribbean - True Story! Air guitar - True Story! No side effects - True Story! Old Spice Commercial - True Story! Uphill both ways - True Story! 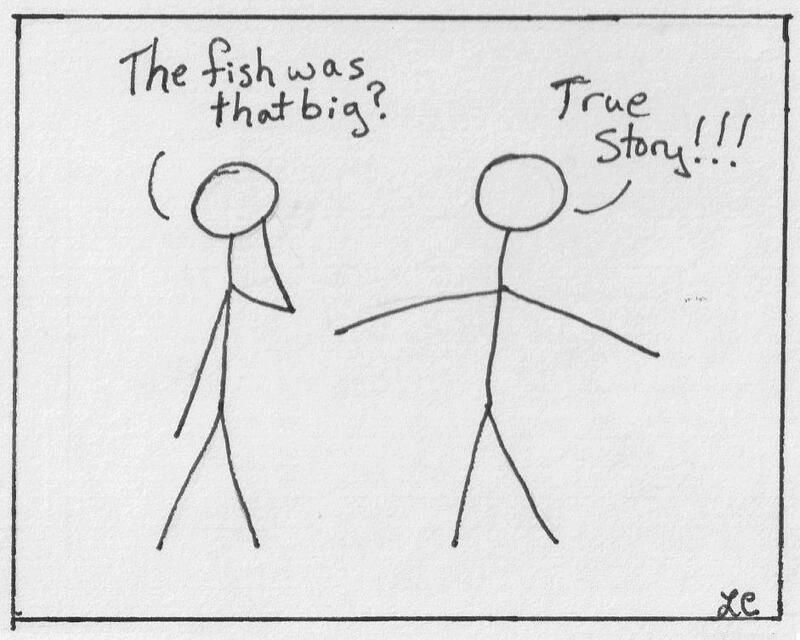 The fish ate my homework - True Story!